Harris’s works dwell somewhere between abstraction and peculiar figuration, incorporating elements of the surreal, such as automatic drawing and uncanny distillation of the figure. Immaculate surfaces, pristine edges and cropped forms are dominant features of his work. 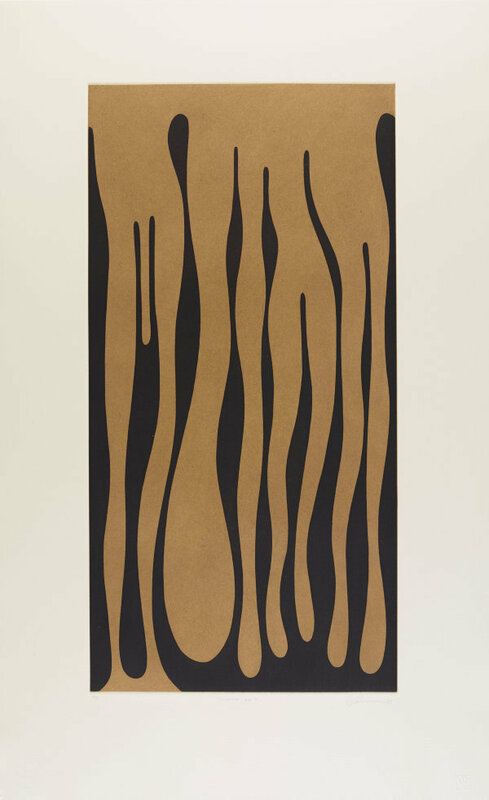 Harris explores fluid forms in 'Swamp' - a major series of paintings, prints and drawings commenced at the end of 1998. Throughout the 'Swamp' series, shifting contrasts between positive and negative space emerge as the precisely rendered, dripping forms take on an emotional charge on a melancholic and mournful emotional spectrum. Signed and dated l.r., pencil "BH 00".